"Historical traumas suffered by both Israelis and Palestinians could become a currency of compassion and understanding" Our Senior Middle East Analyst Nigel Pearce argues that the culture of victimhood must be overcome for the Israeli-Palestinian peace process to succeed. 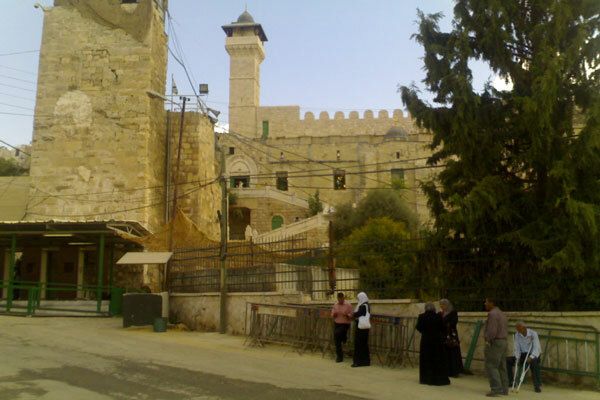 A view of East Jerusalem, October 2010. Having recently returned from a dispiriting trip to the Near East, it would be easy for me to wring my hands in armchair despair that the Israel-Palestine conflict can ever be justly resolved. At the same time, as an outsider, I am aware of my presumption in making suggestions about how to create an atmosphere more conducive to positive developments. But here goes. One major obstacle to progress in what, if anything, is left of the peace process is the widespread reluctance on both sides to acknowledge and genuinely accept the historical narrative of the other party. This ‘conflict of narratives’ is greatly exacerbated by a ‘clash of victimhoods’. The historical traumas suffered by both Israelis and Palestinians could act as a currency of compassion and understanding between them. But this currency has been devalued, or made valueless, by what some on both sides see as over-exploitation, and by a refusal to entertain the idea of psychological equivalence. Victimhood feeds into this. The absence of responsibility in the recent Gaza war was epitomised by the wilful or disproportionate targeting and bombardment of civilians. Somehow both sides felt they could argue that it was ‘justifiable’, because they were victims, currently and historically. Others saw it as condoning evil consequences. Another difficulty with victimhood arises when it becomes wholly associated with identity in the mind of the victim. But you don’t have to give up your identity in order to let go of your victimhood; nor does letting go of it in any way diminish the importance of your present or past suffering. Rather, it means that you can begin to consider possibilities that previously were politically and psychologically taboo – without losing the anchor of your sense of self. It becomes a step to imaginative freedom, not personal loss. One senior Palestinian said to us on our trip that his people had given up their historical narrative with the Oslo Accords of 1993. There is some truth in that statement, when seen in terms of loss of land and imbalance of power. But it is a statement of despair that the historical narrative can ever be regained. Mutual recognition of narratives can bring hope. One Israeli politician asked us why we (meaning certain types of ‘westerner’, as he saw it) were so exercised by the Israel-Palestine conflict when events in Syria, Iraq and elsewhere were manifestly so much worse. One answer we gave was that many people were emotionally involved to a greater extent in this conflict than in others. Because the most passionate outsiders tend to make the most noise, it pushes the parties to the conflict even further into their defensive corner, where their self-critical faculties become increasingly anaesthetised. When George W Bush consigned the Iranians to 'the Axis of Evil', and successive ayatollahs called the US 'the Great Satan', there was nowhere for those so described to go, and by implication, every action against them was allowable. Outsiders have another approach open to them – and many do pursue it. This is to base their campaigning, advocacy and intervention purely on the concepts of international law and human rights. These are not perfect, and laws in particular are open to interpretation, but they are the closest things we have to objective criteria. If the logical implications of such an approach may appear to favour one side over another, there may be a good reason for that. The point is, both sides are equally under the moral and legal microscope. What use is a vision? Visions can be dangerous, for example if they are utopian, millenarian, absolutist or exclusionary. Non-extreme visions are no less problematic. I recently heard a senior British diplomat say, “To take a visionary approach is to lose your power base.” This has certainly been true of the Israel-Palestine conflict. However, a vision of a two-state solution, or any other outcome that guarantees equal rights and dignity for everyone between the Jordan river and the Mediterranean sea, becomes not only more realistic but realisable if there is mutual acceptance of historical narratives and abandonment of victimhood as an end in itself. In such circumstances, there may be space for ideas of equitable sharing to rise to the surface and spread like a fertile island above a dying volcano.